The Apple iTunes team visits for a epic workshop! Home/Classes, Community, Mural Production, Team Building Workshops/The Apple iTunes team visits for a epic workshop! 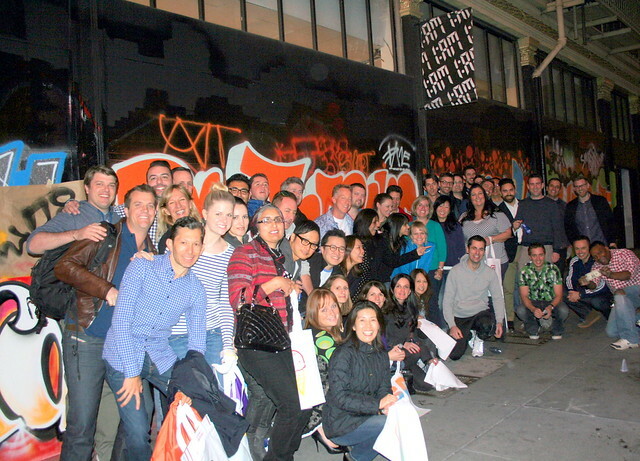 We had the big iTunes team from Apple come by for a big team-building event this year, learning about the art of the tag, going on a local mural tour, creating take home murals and creating their own take home T-shirts! Email privateevents@1AMSF.com to schedule an event for your team!